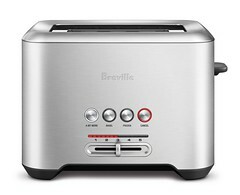 The Bit More™ 2-Slice toaster – - How do you perfectly toast any slice no matter what the type of bread? 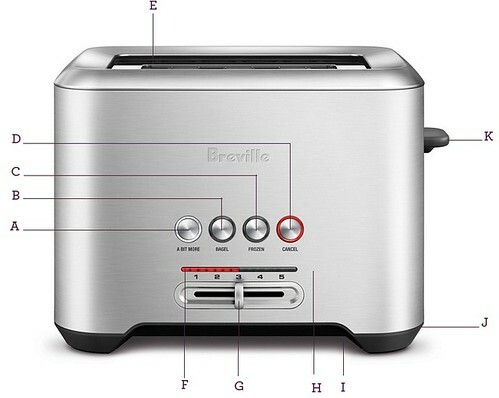 Add an extra 30 seconds for, well…that little bit more with the Breville® Bit More™ 2-Slice toaster. And with the Lift & Look® feature, you can check on the progress without interrupting the toasting cycle. E.Toasting Slots. F. LED Toasting Progress Indicator. K. LIFT & LOOK®/High-Lift Lever. L. Not Shown Breville Assist™ Plug.